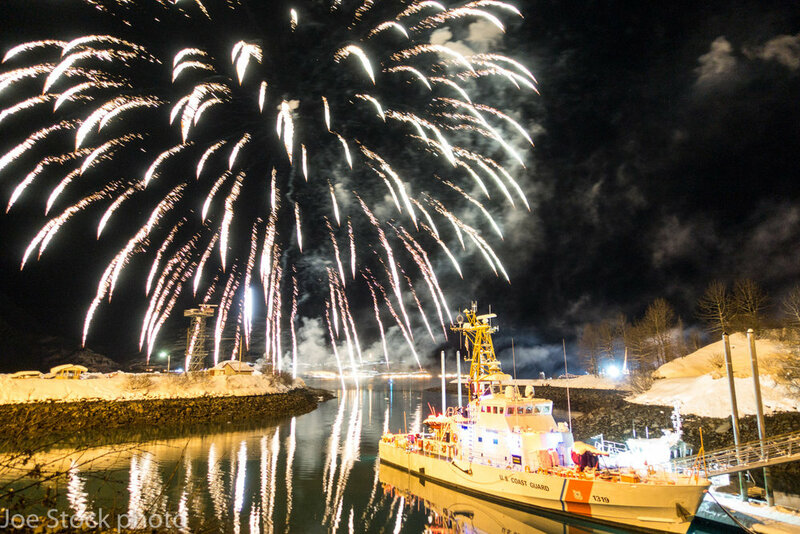 Valdez is a dramatic town in the Chugach Mountains on the edge of Prince William Sound. The economy is oil-based, but during the spring months the city comes alive with skiers from around the world seeking the legendary steep powder. Each day we will commute to Thompson Pass to ski. Options range from 4,000-foot runs from summits, long backcountry linkups, multi-day base camp and heli touring. Most of the touring in the Valdez area is on glaciers, but the glaciers are relatively benign and no previous glacier travel experience is required. Over the years I have spent months skiing and leading guided trips in the Valdez and Thompson Pass area. 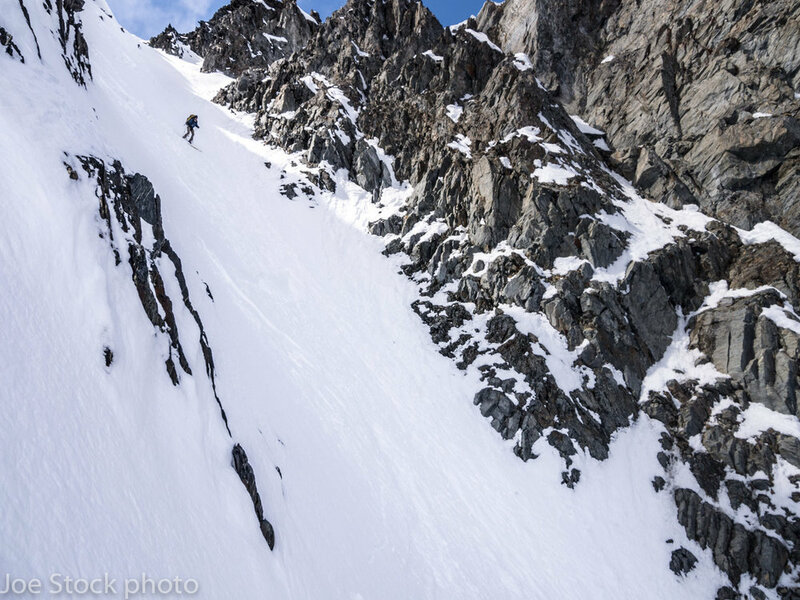 These trips range from easy day tours, legendary runs such as the Cherry Couloir and 9,000-foot day tours. In 2005 Andrew Wexler and I completed the 185-mile Chugach Crusher, a tour that started in Anchorage and finished 18 days later in Valdez. December through late April. March and April have the ski best conditions. Day 0: Pre-trip meeting for trip overview, gear check and last minute purchases. Day 1: Drive to Valdez. About six hours. Day 2: Ski Thompson Pass. Stay in Valdez or optional camping. Day 3: Ski Thompson Pass. Stay in Valdez or optional camping. Day 4: Ski Thompson Pass. Stay in Valdez or optional camping. Day 5: Ski Thompson Pass. Stay in Valdez or optional camping. Day 6: Ski Thompson Pass. Stay in Valdez or optional camping. Day 7: Ski Thompson Pass, drive to Anchorage. Six backcountry days with AMGA/IFMGA Mountain Guide Joe Stock. Up to eight clients. A second guide may be added. Trip planning and booking in Valdez. Client and guide lodging at Anna's B&B in Valdez. 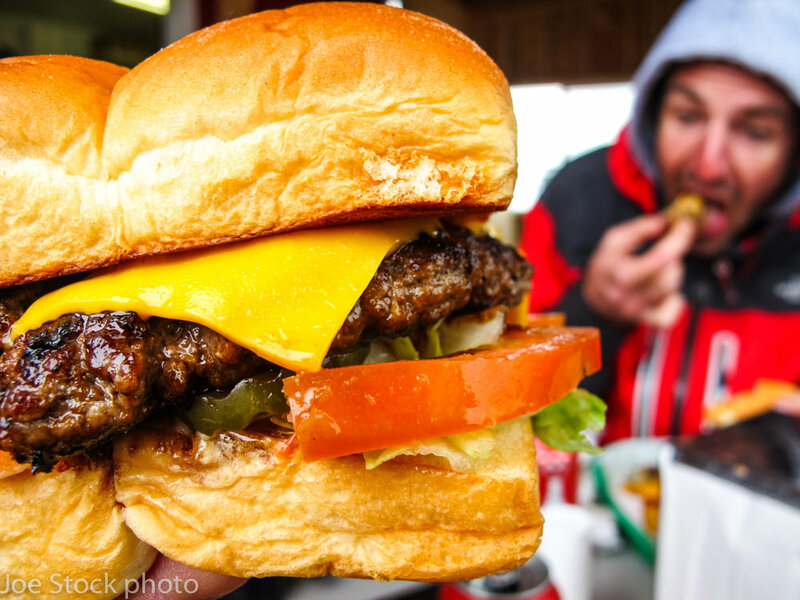 Probably breakfast and dinner in Valdez. Travel within Alaska. The guide(s) will either ride with you, or fly (additional $400). Personal gear. See Backcountry Ski Gear List (sections 1-6). 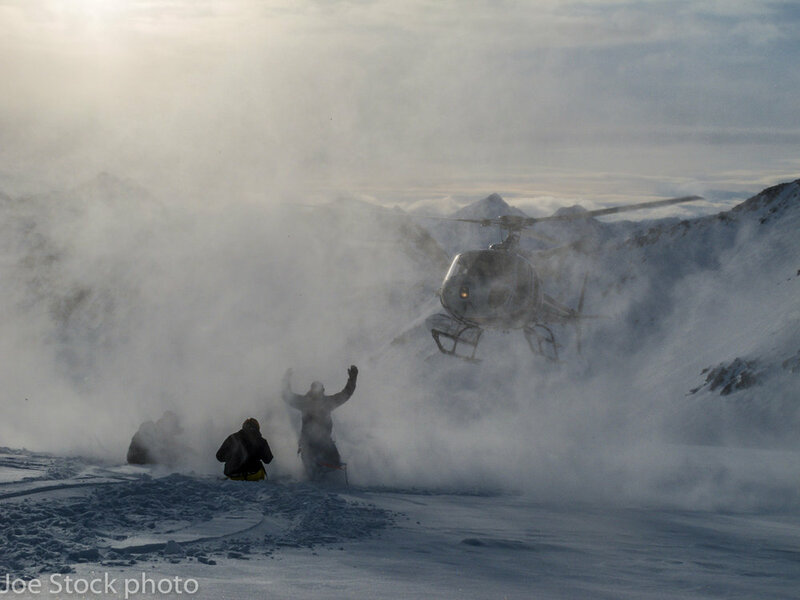 Heli skiing: about $1,350 per person per day. Ask about availability. Heli drop: about $700 for four skiers. Ask about availability. Snowmachine taxi: $150 per person per ride. Ask about availability. Ferry from Whittier to Valdez.